This is the theme promo poster for Kairos' current series on the book of Hebrews. 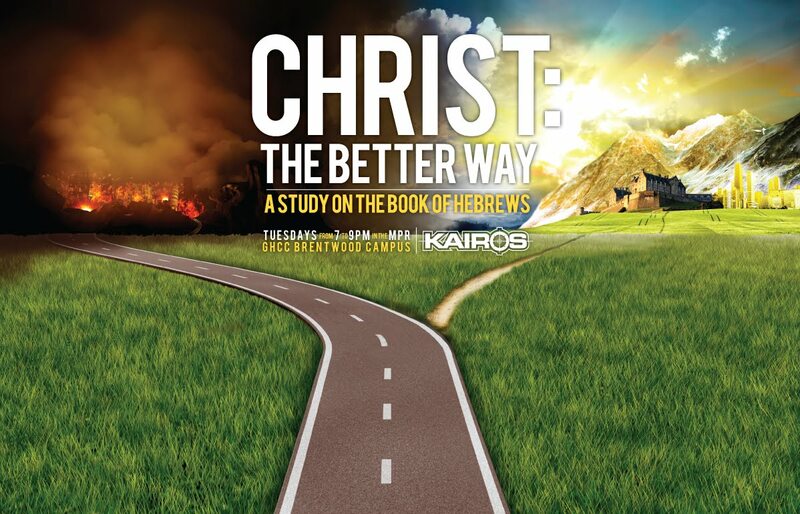 The theme is called Christ: The Better Way, and the imagery was designed to emphasize the analogy Jesus created of the broad vs. narrow way to the Kingdom of God. One leads to destruction, and one leads to life. This was a pretty ambitious Photoshop project for me, as I am not a big Photoshop guy, so I got some help from some tutorials and had a lot of fun experimenting to get the final result. may i use this please for our church? You will have to contact the group that it was created for. If you contact me through email I can try to connect you with them. Can you share your background for me?